In comparison with artificial made products and natural made products, natural made are always special. Natural fiber carpets made from sustainable material are friend to environment. In this way, Jute carpet is referred as the softest material. Even though it cannot live for long years of life, it will provide all benefits within its shorter period of life. Its softness is the highlight. It is one of the products in the list of backend products of carpet and it is especially used in padding for carpets. Jute carpet is the softest among all kinds of plant fiber carpets. It is not completely enough to compare the jute carpet with cotton blanket. It is economically concerned product. Though the main features of the product are considered to be very important, it is also important to consider about the secondary features of a product especially with this kind of product. The possible expectations from the carpet are colors and styles. In this way, it will be available in various ranges of colors from tan to brown. As already said, though it cannot live for long time, within its shorter period, it will not leave you in any issues. As a result, it will not stay with stains. It may be slippery when it is under the situation of heavy traffic. Since it is under the natural kind of product, it may be easily damaged by direct sunlight. It is generally made from inner meat of the plants which may get damaged in damp heat. It is naturally obtained and originated from two countries India and Pakistan. It is a kind of plant which is having its natural growth of 8 to 12 ht and shed its leaves during which it will get harvested, bundled and soaked in order to get the fibers separated from the stem. After this process, it should get dried in the sun for two to three days. Much like the sisal flooring, coir rugs and coir mats are tightly woven and strong. Since the materials are natural, little is done to process them, and they retain their inherent strength and durability. Many times the chemicals that are used to create particular colors or affects in synthetic floor coverings also create perfect conditions for rapid wear. There are various textures and patterns available with carpets. Last but not least about the jute carpet is, it is one of the backend product used in preparation of carpets and some linoleums and also in carpet padding. You may want to know about the way of installing jute carpets; it is similar to implementation of other carpets. If you are expecting to install any environment friendly carpet in your home, then you can opt for jute carpet. 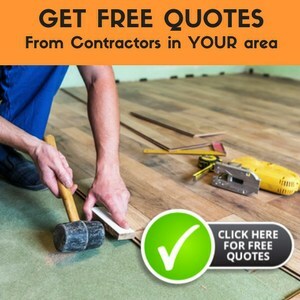 It will be more beautiful and hence gives you the extra look and feel which might not be obtained from other flooring options. It is mostly suitable for places like offices and dens. If you find a vintage rug in small for the room but in anyway, if it needs to be installed, then you can install it over the jute flooring. Since it is a naturally made product, it is mostly suitable for traditional living rooms. It will add the modern and simple look to the room with its two colors named white and beige. With its presence, you will feel the attractive and again and again look with its color creamy white. Its color beige, black and white will give dramatic look. This jute carpet flooring will make the room as natural and traditional. If you want to make any change in your room, then you can opt for this change. The combination of white slipcovers and sisal is the perfect one to improve the look of jute flooring. The naturally obtained fiber rugs will looks flat and so it can be layered with smaller rugs. If you want to give vintage settings with furniture in your favorite room, you can use this jute flooring and tie the space together. It will be marvellous. If the size of rooms is larger and if you think that two or more rugs should be placed, then you have no other option except jute flooring. It will come up with various weaves, fibers, colors and patterns. Dining room is the best location to be placed with jute flooring. Finally, choose the best place to put jute flooring to make it more attractive and extra durable.